Was wondering which 1:48 Boulton Paul kit is best...Airfix or Trumpeter. I have built neither but given the extremely high quality of airfix's new toolings lately I would bet the farm on the 2016 tool airfix. Online reviews indicate Trumpeter has done their all-too-usual aircraft trick of adding fictional details and generally eyeballing the shape. Not to sound like you-know-who but pictures of the sprues do show a Trumpeter fuselage that looks properly wrong. Joe, I go with Mike, though I haven't built the Trumpeter kit. 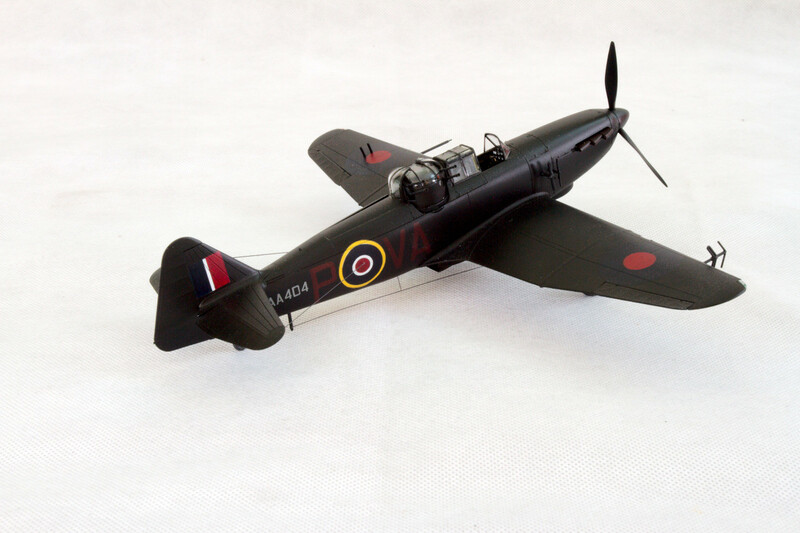 I have built the Airfix Defiant last year and had no major problems with it. If you scroll down the page to the bottom you can have a look if you like. From what I read, Airfix has the shape right, but omitted all the rivitvand fastener detail. Trumpeter has better detail, but the shape is off some, and you could throw the decals away. The color is way off. Veeery nice, Bernard! I'm waiting for this kit to arrive at my stable.